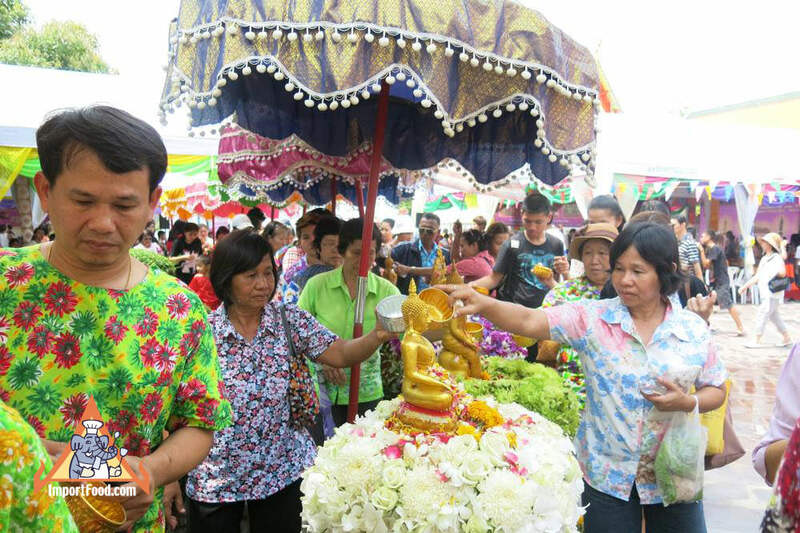 Songkran is the traditional Thai new year celebration, occurring every year on April 13, 14 and 15 to coincide with the sun moving from pisces into aries. 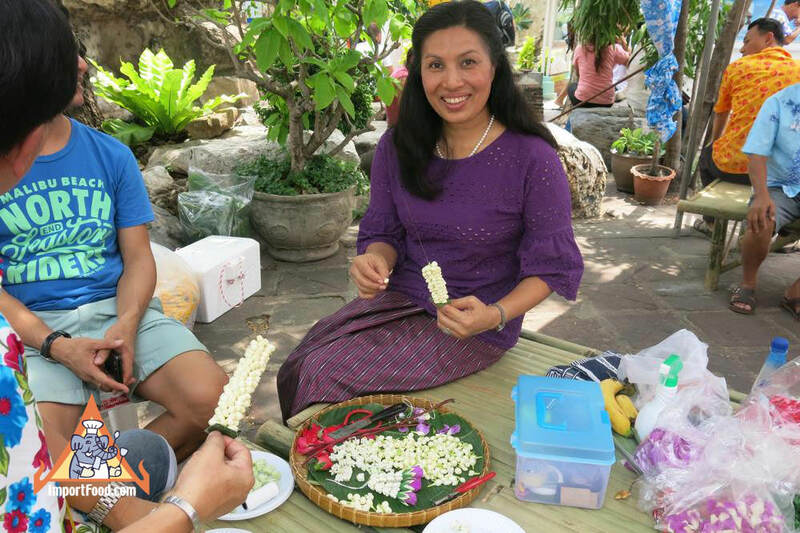 The extended holiday enables people to return to their hometowns to reunite with friends and family. 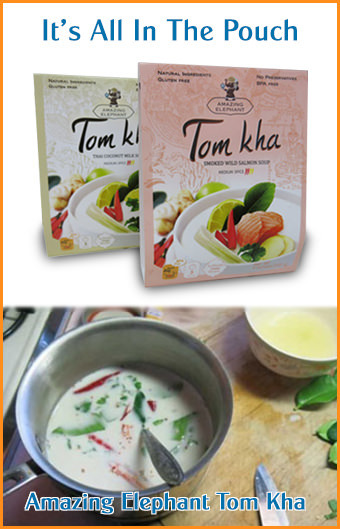 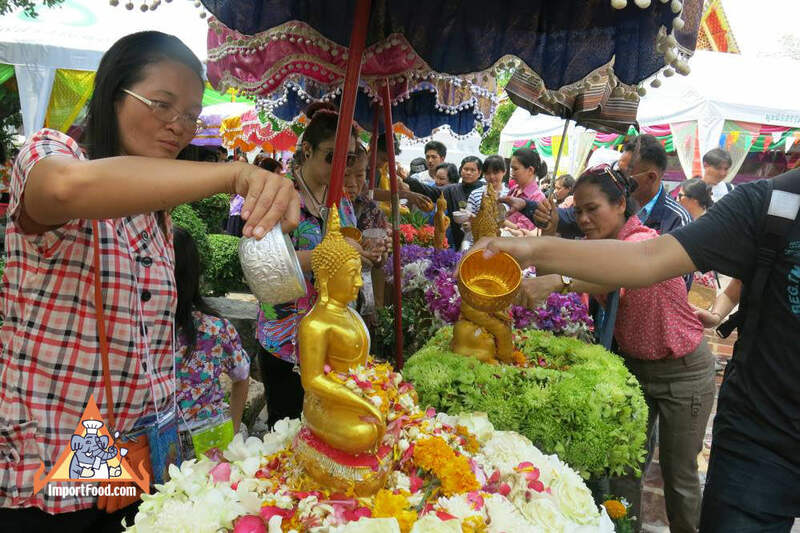 Thai people pay homage to their ancestors at this time, offer food to monks, visit temples and of course splash water on everyone around in good fun. 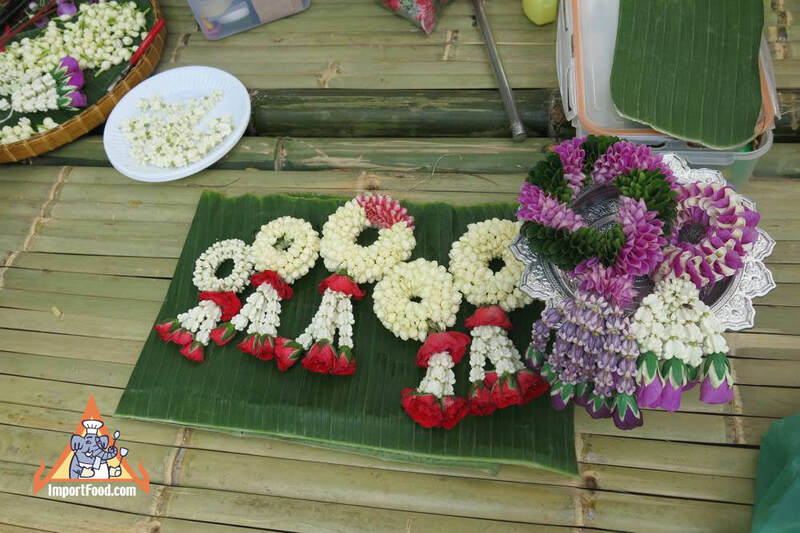 Garlands (called malai in Thai) made of fragrant flowers are part of all celebrations in Thailand, so during Songkran you will find craftspeople arranging flowers in beautiful arrangements. 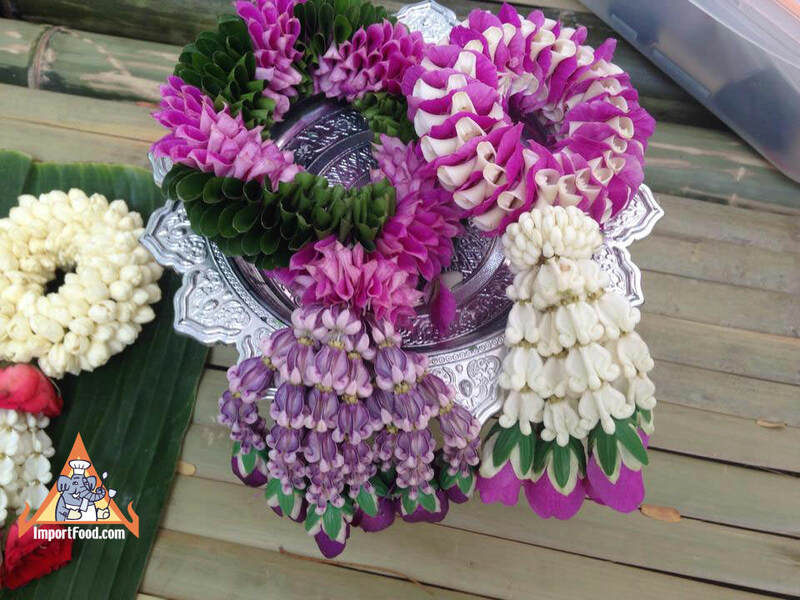 Here are some pictures we took during Songkran in the year 2015 (Thai year 2558). 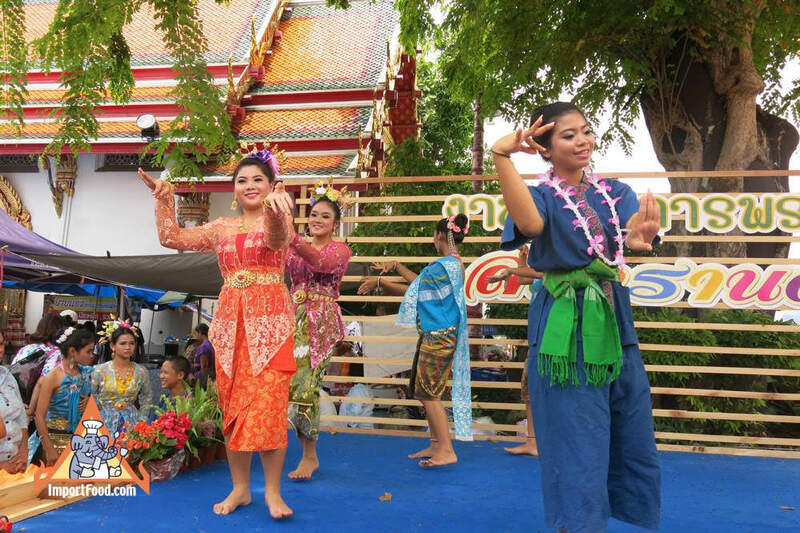 Also enjoy our Songkran Video showing the fun activities upcountry, where everyone is splashing water around in a parade.